. We are always looking for new baby shower poem and wording ideas! If you have any that you would like to share and to inspire others, please feel free to send them in! Reader, Shelly Writes: As I was planning for a friends Baby Shower - I needed a Baby Shower Poem to go with the Shower Favors. But, I could not find one that suited my friend. So I decided to make my own Poem. I will attach it the Favors as a letter to the Guests at the Shower from Baby. To join my mommy and daddy, At home where I will stay. Where I will grow up healthy and strong, For this is what they pray. To help honor my mother. To join in mommy’s shower. And we appreciate the thought. And I’m as happy as I can be! My mothers delighted, my fathers excited! We can't wait for this special baby to come our way so we can show him or her the light of day. Everyone is wondering if the color will be pink or blue...or if it will like dolls or even cars too. All our hearts are racing for the special day to come... It's a boy! It's a girl! The waiting has just begun. So Mommy will be proud of me. I won't be dressed you see! I'll be arriving on my birthday! Just give me hugs and kisses and love. 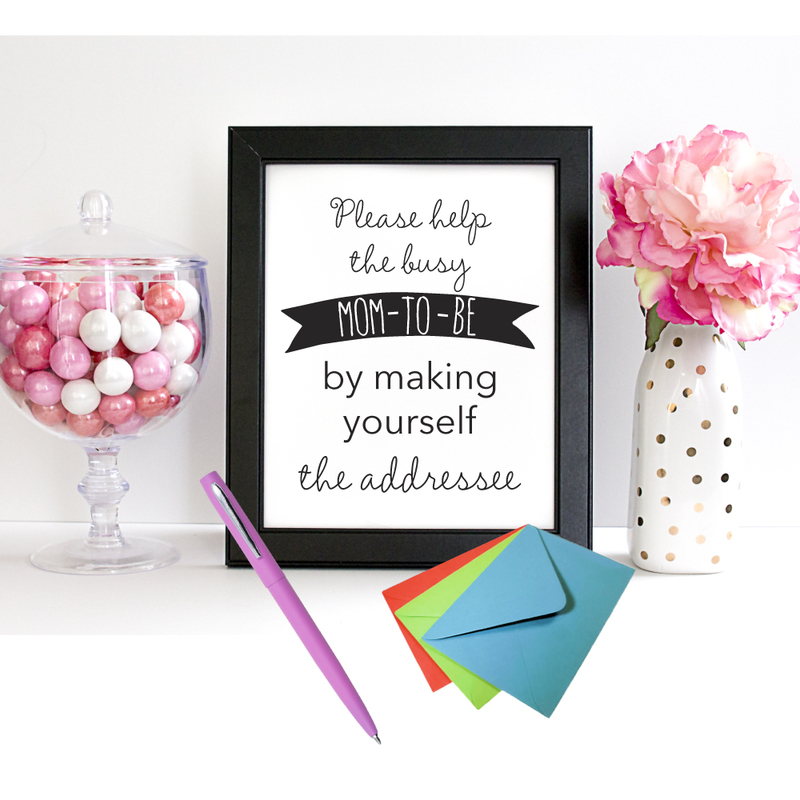 "Please help the bust mom-to-be, by making yourself the addressee. ": Set up a cute table with envelopes and pens so guests can easily fill out their addresses on the baby shower thank you card envelopes. Add this nifty little, printable sign and you'll be all set! And the mom-to-be will thank you for making her life easier! so Mommy will be so proud of me! to use the gifts you brought! I'll need them all, you see. I love this poem! I wish the invitation I was using was bigger, but im going to try and use it anyways. 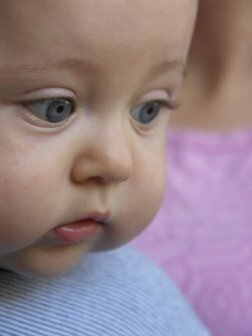 Yes God (Jesus Christ)is our creator of all babies and he does not make mistakes. I love this poem. I wanted to make sure it was okay for me to use this poem as a favor for the guests at my baby shower. I wanted to surprise them each with a little gift, and I thought this would go perfectly with what I had in mind. this got me so touched i felt like crying i love this poem its a good one all think all used this one on my invitations. thanks for posting this. I am almost 60 now & my mother & her friends used this poem over 30 years ago for baby showers. Just looking up this poem glad you posted it. I found almost the whole poem written and tucked inside the Sewing book I just purchased at a thrift store. How sweet! 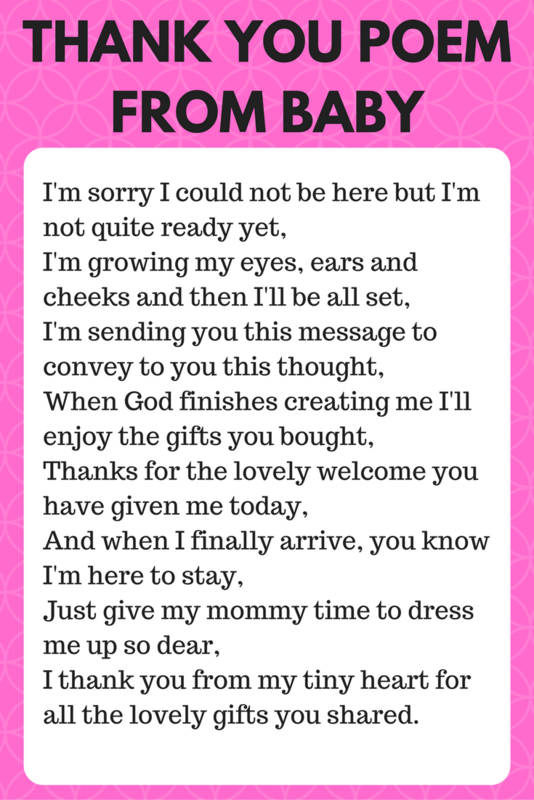 I am having a baby shower for my sons girlfriend, so that makes me the grandmother, and this poem is so perfect to use with the favors. I don't know what I am going to do for favors yet. Do you mind if I use this poem. It is so beautiful. The baby girl is due in March, so I am having a baby shower in January. Thank you so much for your help. Return to main baby shower poems page for cute invitations wording ideas, cake sayings, and more!